One of San Diego's most beloved seafood spots is currently operating in a "soft opening" phase at its second area location. 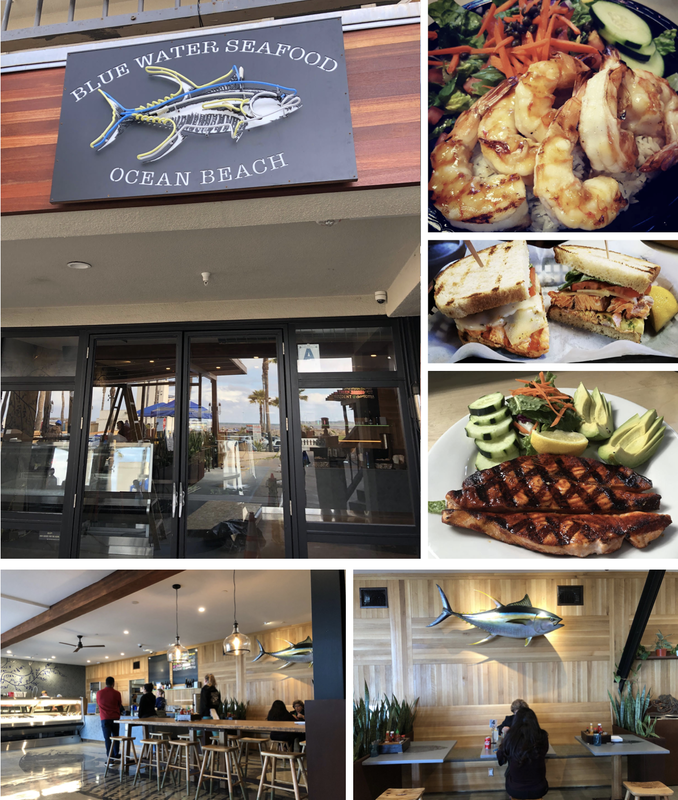 Blue Water Seafood Market & Grill is dishing out fresh catch during limited hours at its new, 2,500 square-foot oceanfront outpost in Ocean Beach. 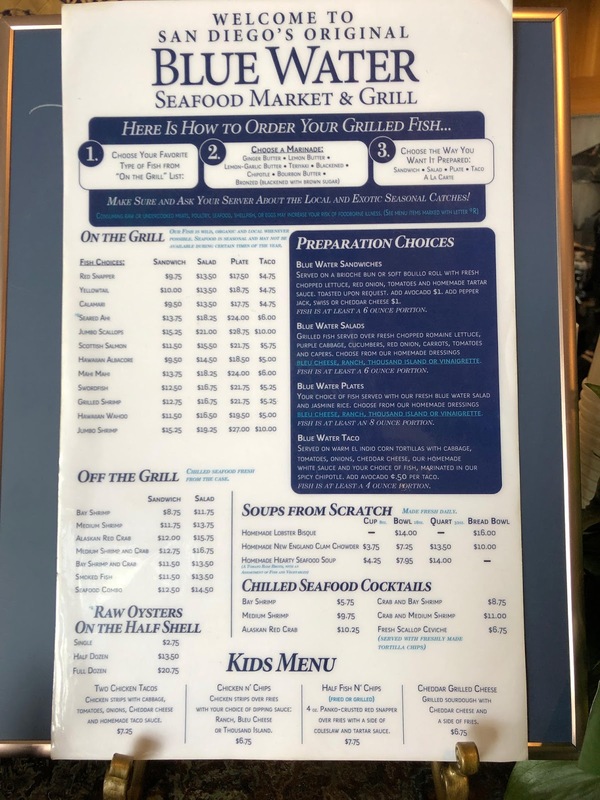 Founded on India Street in Mission Hills in 2004 by brothers, avid watermen, and Point Loma High grads Matt & Judd Braun, Blue Water Seafood Market & Grill offers a fast-casual menu centered around fresh seafood caught by local fisherman off of Southern California and Baja shores. The restaurant has had lines out the door ever since being featured on two episodes of Guy Fieri's hit Food Network program, "Diners, Drive-ins and Dives". For the Ocean Beach location, the Braun brothers have partnered with local restaurant group, Social Syndicate, which operates neighboring restaurants Wonderland and OB Surf Lodge in the same plaza, as well as The Local Eatery & Drinking Hole, The Local Pacific Beach, The Rabbit Hole, Bootlegger, and is a partner on the recently opened Grand Ole BBQ Flinn Springs. The Ocean Beach branch is currently testing a limited menu during random hours, including this Thursday & Friday from 11am-1pm and 5pm-7pm, and Saturday from 11am-8pm, where the menu will be 50% off. The restaurant will then close until the grand opening on Wednesday, February 13. Like its flagship eatery, Blue Water OB will offer a selection of seafood for takeaway from a glass-encased fish counter, as well as a menu of sea-worthy specialties available as a taco, salad, plate, or sandwich. Mindful of maintaining optimal freshness and quality control, no seafood is frozen and protein for each dish is proportioned in the back kitchen with fish cut and marinaded to order. The counter-service restaurant will also serve a selection of local craft beer and a generous list of sustainable and organic wines from family estate vineyards. Blue Water OB will also have outdoor seating under a newly-constructed covered patio. Blue Water Seafood Market & Grill's new location is sited at 5083 Santa Monica Avenue, Suite 1B, in Ocean Beach. For more information, visit bluewaterseafoodsandiego.com and check out the menu below.